I had enormous fun writing this ‘I am Reading’ book. Pirates are the perfect subject for a story because you can do anything with them. Here, you’ll meet a truly hapless (or do I mean hopeless?) 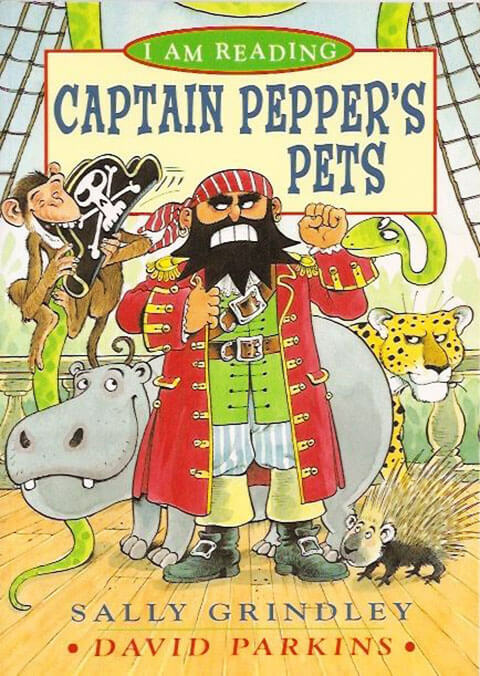 crew whose mission is to find an unusual pet for their mean and nasty captain.